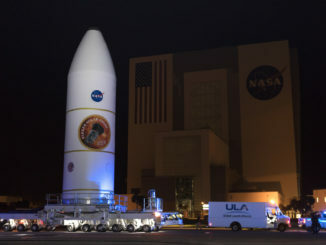 With the Atlas 5 rocket that will boost it into space now assembled and waiting, a $408 million NASA communications satellite is in final preparations for its science data relay mission. 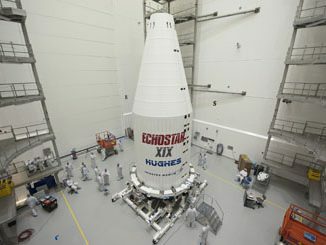 In preparation for liftoff Dec. 18 aboard a United Launch Alliance Atlas 5 rocket, the powerful Internet-from-space broadcasting satellite called EchoStar 19 was encapsulated in the nose cone. 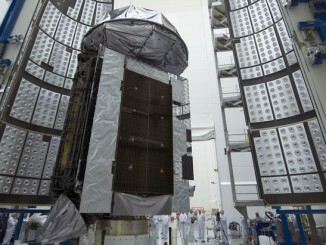 The U.S. Navy’s Mobile User Objective System communications satellite No. 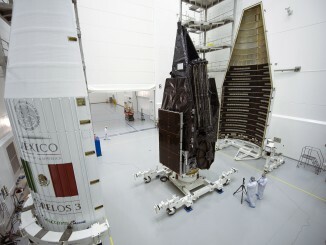 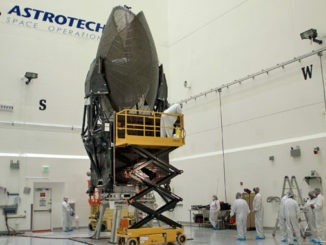 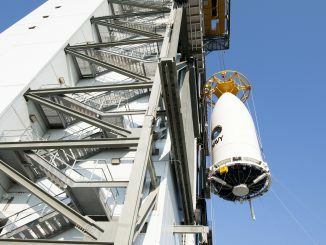 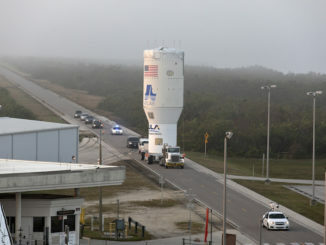 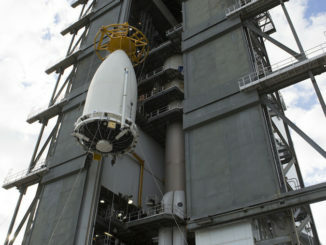 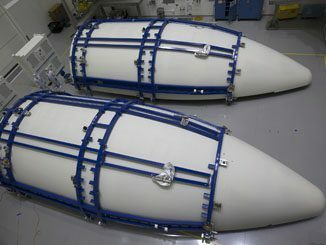 5 was encapsulated in the payload fairing at Astrotech on June 4 and then hoisted atop the United Launch Alliance Atlas 5 rocket at Complex 41 on June 13. 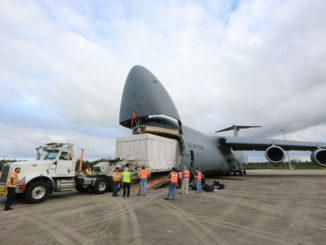 This photo gallery shows the Mexican Morelos 3 communications satellite being encapsulated in the United Launch Alliance Atlas 5 rocket’s payload fairing for the planned Oct. 2 liftoff.